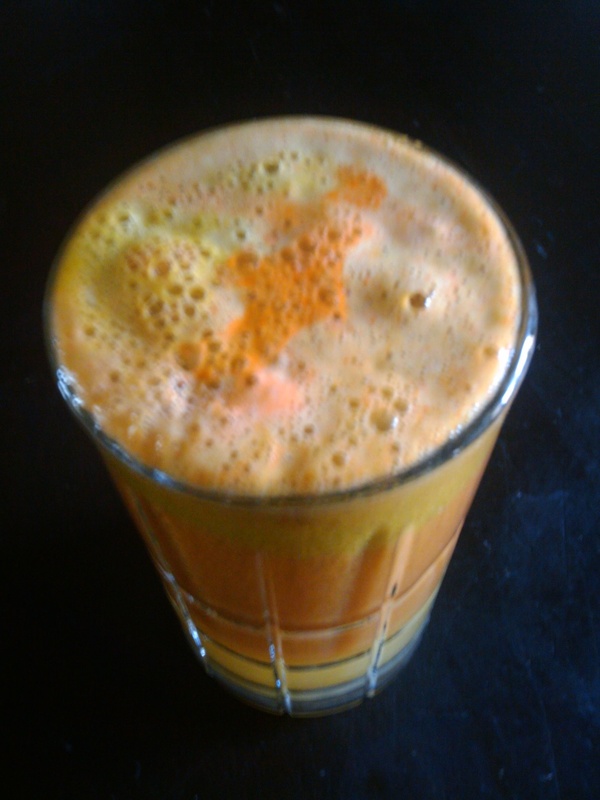 Make juice, not war, unless it is a war on cancer cells . . .
Nowadays I eat to keep cancer away. Some of the very basics of doing that (keeping cancer away and preventing cancer – listen up everyone – this is for you) are: avoiding sugar – in particular refined sugar and processed foods that quickly turn to sugar in your body (like white flour, pasta that is not whole grain, etc. 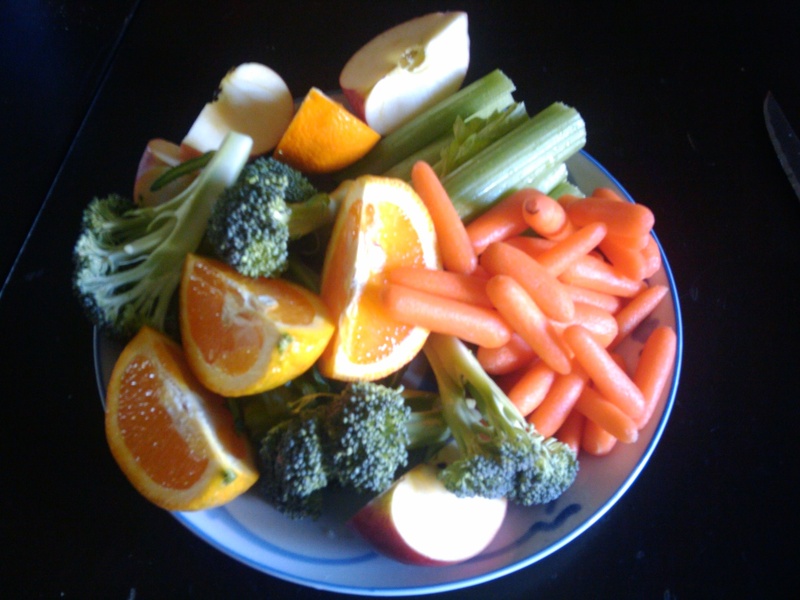 ), and eating a diet that is rich in fresh, RAW fruits and vegetables (especially the vegetable part). Also, to help keep your blood sugar low (this is important to maintain a healthy, low inflammatory diet – helps prevent diabetes, heart disease, and, yes, cancer) include cinnamon and green tea in your diet. Cinnamon and green tea naturally lower your blood sugar (so too do foods that are rich in magnesium, yes, I have been reading a lot this past year plus, you would too if you felt like your life depended on it). 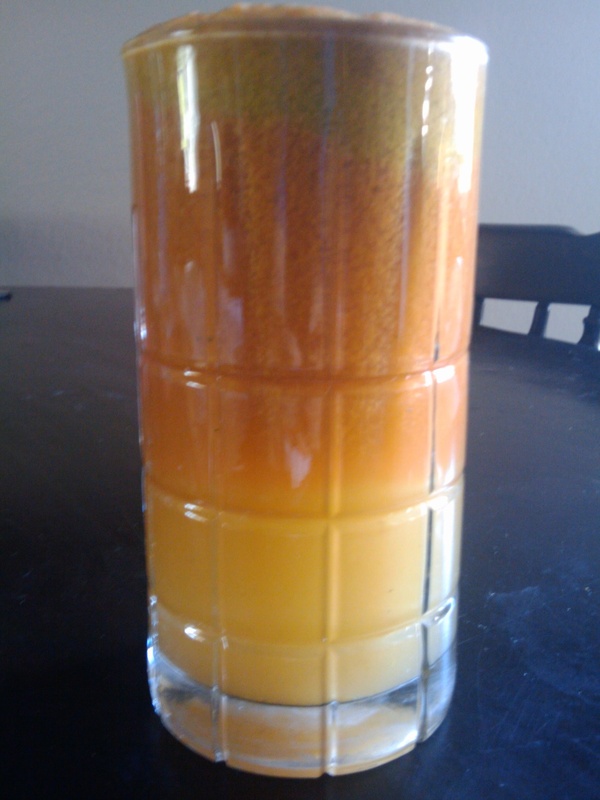 Here is what I fed my juicer this morning . . .
And, here is what my juicer fed me 🙂 This is one of my favorite drinks, super food, super delicious! Same glass, different view. I mix it up before I drink it. ← This is me off of herceptin . . .